Today I have a winter tag for you. I had considered making this the focus piece for a card, but the tag itself turned out to be so sweet that I just had to leave it on its own. 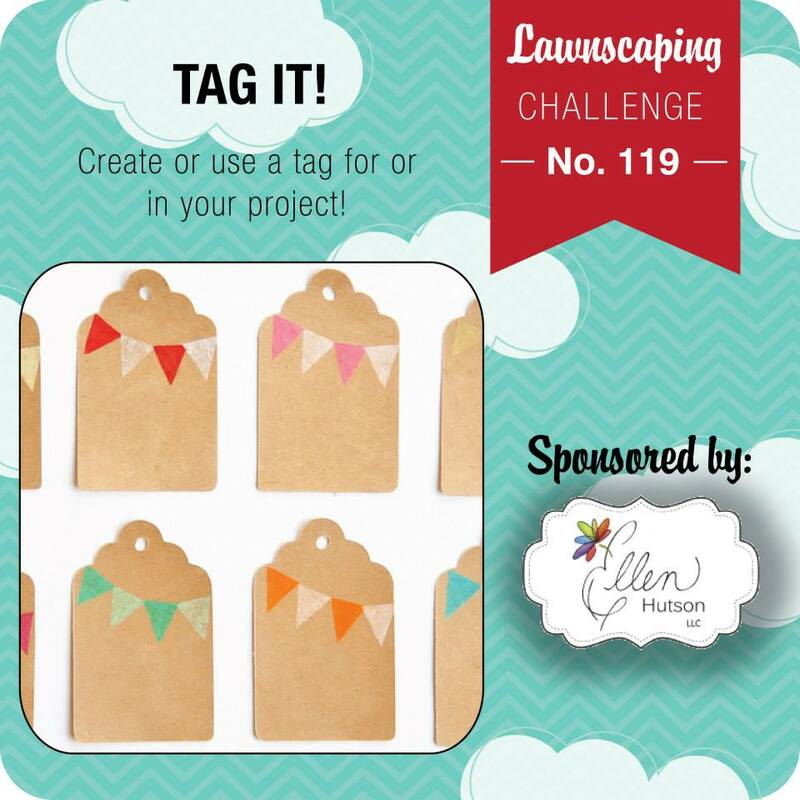 I created this tag for the Lawnscaping Challenge "TAG IT" sponsored by Ellen Hutson. So cute! I am so glad you joined us!!! 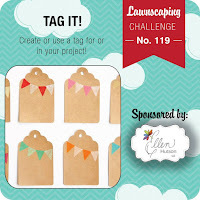 Adorable tag! Thanks Laurel! I'm so happy to be able to participate. Thank YOU for all your help!